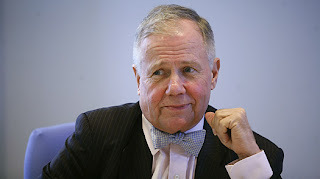 Aug. 11 (Bloomberg) -- Sri Lankan stocks may offer better returns as the end of the 26-year civil war frees up government spending for investments in infrastructure and agriculture, investor Jim Rogers said. The island-nation’s benchmark index has gained 33 percent in the past three months, the second-best performance worldwide as the army defeated the Liberation Tamil Tigers of Eelam in May. The Colombo All-Share Index was the region’s third-worst performer in the past two years as record spending on defense strained government finances, and the country sought an International Monetary Fund loan.